Mid afternoon, had just over an hour before the last X55 back to Gravesend which happened to be a pristine RTL453. I was one of two customers until a few others I recognised turned up, including a flock of Friday Evening Group members who'd done my trip in reverse. Crouch Vale - Yakima Gold 4.20 Rather toffeeish and slight sour kick not what I'd expect from this beer. A sunny afternoon, we sat inside and chatted with the guv. Mighty Oak - Whirligig 4.50 A good nutty brown ale. Mid afternoon half a dozen customers in the welcome warmth on a chilly December day. I was thirsty after a lively 75 minute ride on restored MD60 on the X55 bus route from Gravesend, my first pint never touched the sides. Crouch Vale - Yakima Gold 4.20 Tangy creamy and zesty with good carbonation, superb. 1605 hours and a half a dozen of our Friday Evening group in already. Friendly welcome I took an instant like to this place. The landlord assured us that we would not be flouting the mobile phone rules taking photos or using them on silent for internet, messaging etc. Pig & Porter - Skylarking 4.00 My favourite so far thus decided to stay on it. Fruity zesty with a tropical clout like no other whilst not too sweet and pleasantly dry, superb. Colchester - The Day Of The Triffids 4.10 Dry and sherberty, nice. Lovely and cool inside with an efficient air handling system doing a superb job. The rest of our group preferred to sit outside so I popped out occasionally just to be semi-sociable. I had a good chat with the owners. Busy and noisy in here in mid-afternoon. Nevertheless, I like the place very much. I manage to bring down the average age quite significantly I think. Thornbridge / Thornbridge Hall - Brother Rabbit 4.00 A very lovely beer that is always a good choice when available. Seemed to be the top seller in here today. Billericay - Billericay Zeppelin 3.80 A fresh and earthy, amber-coloured Bitter. Evening visit until just before 11pm close. A way out east trip tonight on a Micropub ticking visit. Friendly staff and all the attributes of a classic Micropub but the noise levels ruined it for me with the need to shout to be heard. Soft furnishings may be required or ceiling baffles. I am pleased to be able to report that this pub has won its planning appeal and now operates with a full A1 licence allowing it to sell alcoholic drinks without the need to purchase food. At first we were the only customers but others soon arrived. 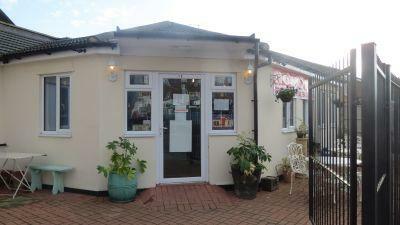 We had a good chat with the owners about micropubs and the Paper Mill at Sittingbourne in particular. Friday soon after opening time, at first I was the only customer but another couple came in soon afterwards and a group of six ladies soon after that. I had a good conversation with the landlady about the problems with a few councillors. The pub is found in Upminster, Greater London, RM14 3DT. 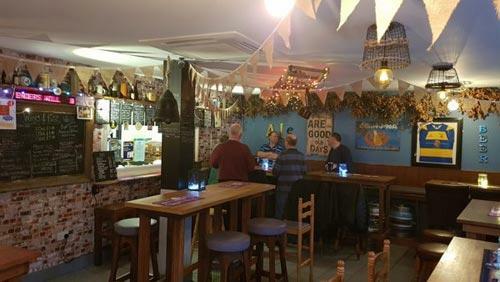 A Micropub opened in November 2015 after about one year of planning difficulties. It opened originally as A3 Snack Bar with a licence for the sale of alcohol so pending the outcome of a Change of Use Planning Appeal you had to have something to eat with your beer. The Snack Bar offered Pork Pies, Scotch Eggs, Pork Scratchings and similar delicacies. At the time of opening they were applying for, and getting, TENs for Fridays and Saturdays which meant that on those days only it was not necessary to order food. Thankfully full planning permission has eventually been granted to open as a pub. Single storey building not far from Upminster railway station (5 minutes walk). Seating is at high stools and wall benches with all high tables. 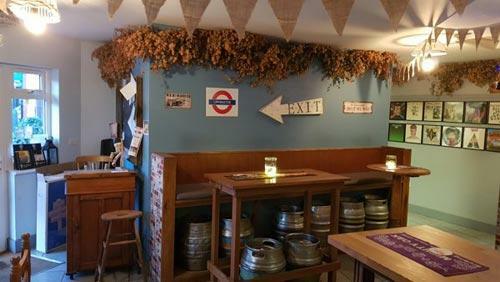 Real ales and ciders are served from a temperature controlled cellar room on gravity dispense. Local CAMRA branch Pub of the Year 2017 & 2018. We have visited this pub 10 times, seen 40 different beers and tried 15 of them.